"Quick deployment 100% cloud contact center"
The overall user experience is very good. The setup is quick and easy to follow. The contact flow can be visualized in a form of action block. I can easily develop my call flow by drag and drop. 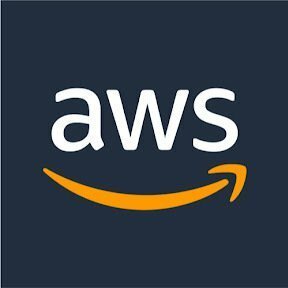 With Amazon S3, call recording is ready to integrate with Amazon Connect. Must mention, great and beautiful integration with CRM like Salesforce. I created my cloud contact center with Salesforce CRM with recording feature just in 2 days! What a amazing platform. Actually the platform is pretty good. I am looking for more contact center related feature release. E.g. the voicemail box, counting waiting position/ time, barge-in feature for call center manager. i believe those feature will be of great value to Contact Center. Everyone in the field of contact center development should try to know about Amazon Connect. It is a pure cloud solution and one very big advantage is based on rich featured AWS platform and is ready to integrate with Amazon product! Imagine you have a platform built in Amazon and you can leverage the EC2 computing solution, S3 database, Lambda and Lex with no worry on the compatibility issue. As a consultant of a SI company, i am proposing a cloud contact center solution to my customer with 300 agent size in Hong Kong. They are looking for a cloud contact center with integration with WFM, call recording, CRM, softphone, outbound campaign... All the features can be fulfilled by using Amazon Connect or its partner solution. "Great for metrics, bad for users"
I like that it allows you to see real time metrics of calls throughout the day and the week. The data is very detailed and insightful. It was also easy to integrate into our software. You can’t save searches, so any time you want to pull metrics, you need to choose the users, time zone, window, etc., even though I’m always pulling the same reports. I also hate that you cannot transfer to specific people instead of queues. It makes specific language assistance extremely difficult. You also get no caller ID information or a call log to quickly see your recent contacts. Fewer calls abandoned, more accountability and tracking of metrics, productivity, etc. Amazon connect is super easy to use, lets you not only take calls but track agents and easy search for previous calls. And you can check the metrics daily. The only thing that I would like to change is the option to stay logged in, you need to log in all over again, every day. It's a very useful tool for handling any sort of phone traffic and easy communication. It always works. Had other systems that time out or are hard to hear. It's stable and easy. Would like to see my past few calls I have made. Sometimes I call a few people in a row, and it would be easier to keep track of if it was right there, instead of having to login and run a report. Update your status options. It's really nice to be able to see if other people on the team are available to take a call or not. Can make calls form anywhere. That's huge not being tied down to a phone. "Cloud Based Contact Centers? Now, Amazon has literally thought of everything!! " Cloud Based Contact Centers? Now, Amazon has literally thought of everything!! Take everything fantastic about Amazon technologies and offerings and put them into the contact center. This product is a game changer especially when compared to the archaeic software that's available. It was deployed very quickly and the pricing ensures that you only pay for the usage. No WFM is provided but you can stream contact data using Amazon Kinesis. When thinking about the trends involving the cloud, automations, and user experience Amazon Connect literally mashes them all together. It's worth compared the connect platform and self service experience to your current contact center software. Agent numbers are constantly changing and the solution ensures that scaling within the contact center is done appropriately. We were also seeking a better way to back up the data and this solved both goals. "Good way to connect to support line"
Easy queue control. Not sure how next available is determined but seems evenly distributed. Able to go back and find phone calls and do contact search for review and quality control. Have had man errors and soft phone failure errors. Need to make sure browser history is clear and everything is up to date or errors continue. Great for large volume of phone interactions. Can be buggy but easy to fix. Daily phone interaction with with customers helping them solve the issues they encounter. Easiest way to connect with customers and get the fastest result. "Great tool for call center and phone traffic"
Amazon connect lets you not only take calls but track agents and do contact search for past calls. Also for easy tracking of all people logged in and what their status is. The status menu can bug out. If you get a call while changing statuses it locks you out from trying to change your status, easily fixed but annoying. for handling any sort of phone traffic, this will help you get it done! Simple customer connection and being able to help them fix issues and gather feedback on products and requests. Simple and easy to use. Once it was set up as our primary phone system, it was immediately received well across the company. It was definitely a huge upgrade from the service we were using before. The reports and dashboards page is not as intuitive as I would like. There are times when I have to refresh my page or reselect the filters that I need in order for me to get the results that I am wanting. We are using this in technical support. The ease of use allows us to pick up calls quickly and because of that, we are able to help customers quickly while minimizing dropped calls and hold times. It's very adaptable and allows you to find information that you have an interest in. For example, most things are very customizable, especially with reports. I'm not a super huge fan of some of the refresh settings on dashboards. I wish we could make things more real-time. Amazon is a great company - continue to provide feedback about their products and it will come along very well. Amazon Connect is saving us a ton of money as a company. It's also allowing us to source our phones and server usage solely through Amazon - which eliminates us having to rely on a large amount of 3rd party providers. "Connect meets our needs perfectly"
Connect makes it extremely easy to quickly acomplish the calls I need to make. "Very simple interface and reliable service." How simple the calling interface is. Its a very easy to use panel that is very straight forward. Not the most intuitive path for call functions like conference or transfer. Extremely flexible and easy to use from anywhere. I can work from home seamlessly. Very similar to AWS business model. Pay per minute of use. Very integrated with the rest of AWS services. Still new and not completely refined. Pricing outside of the US is high but hopefully will come down similar to AWS pricing. Moving call management to the cloud. Cheaper day 1 but might be higher long term unless prices decrease. "Great if you have an excellent internet connection"
Can be buggy at times. Depending on how its implemented and the choices present, it can get frustrating. Like any internet application, it is heavily dependent on the internet connection present. Evaluate the network performance well before switching to this. Remote connection for employees is provided. Spinning up a machine for new employees is faster and cheaper than physical laptops. "Turn your cost center into a profit center"
The ability to only be charged for what you use and be able to scale to any size at any time. Product is still maturing so integrating will contact center needed soluitons are not yet readily out of the box available. Ease to customize our customer care and sales experiences. Scalability limits set too low. Critical features are not yet available in AC. We have replaced our previous contact center technology with AC. Benefits will enable us to re-image how we connect with and support our customers. "Easy to configure, Pay-as-you-go pricing"
Empowers business users to control contact flows without needed development work. Improves speed to market and allows for continous innovation. Some features available on legacy platforms are not readily available out-of-the-box. But being an open platform, it's easy to enable these through other AWS services. Automating customer interactions that are low-value and don'e need to go to a human. This solution is very intuitive and friendly to use by having an easy to use GUI where you can define custom business processes for all your call routing needs. Custom code maybe required for more complex business scenarios. The ability to route calls to a representative based on time of day. "Easy to use and reliable,"
I like that it is easy to make calls. It is easy to use the keypad or manually enter in a number. Could be expanded to have more functionalities. It works well, but feels basic at times. Give it a try, worth your time. Easy to use and easy to set up. Calling customers internally and externally. Easy to reach someone. We have done a few POC's, but have not switched over to Amazon Connect yet due to contractual agreements with current vendor. Once we are out of contract, we are doing the switch. In other views, the interface is less dynamic compared to competitors. Also, cost is above the competition. As with any application /saas, do your homework. Hosting in general...more of a hands on approach. "Connect review for large call centers"
Like how easy it is to get setup and running within few hours. Call center. It is easy to setup. The Amazon Connect platform provides a tremendous amount of flexibility that enables companies to build as needed. Most of our retail customers we are proposing comparing with traditional. "Great fast customer service connectivity and funny "
* We monitor all Amazon Connect reviews to prevent fraudulent reviews and keep review quality high. We do not post reviews by company employees or direct competitors. Validated reviews require the user to submit a screenshot of the product containing their user ID, in order to verify a user is an actual user of the product. Hi there! Are you looking to implement a solution like Connect?